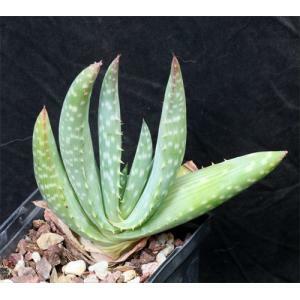 This Aloe, named for the Gariep (Orange) River that forms the boundary between South Africa and Namibia, is a maculate (spotted) species when young and has light white striping on the light green leaves when mature. The flowers of this selection are red. 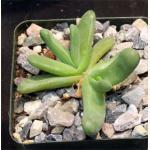 We have seedlings of this species in 5-inch pots.